This past Friday I had the opportunity to be a Dungeon Master for my first session of playing Dungeons and Dragons. Go ahead...Chew on that....Yup, it is the same D&D that you saw stereotyped when you were a kid. I always had a fascination with D&D. I was a nerd at heart growing up and I almost certainly would have played D&D as a kid if my friends played it. 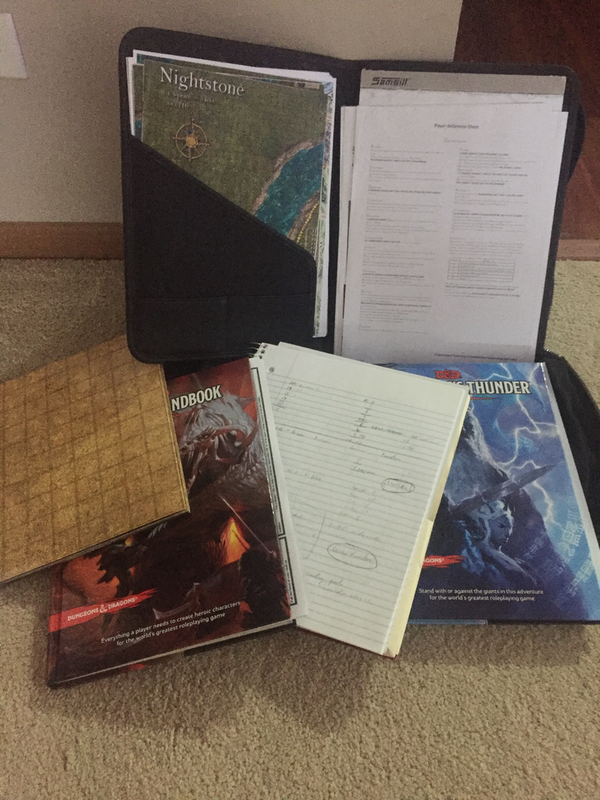 A few years ago I got my first taste of roleplaying when I decided to try out Pathfinder when visiting the Wandering Dragon game shop in Plainfield. Pathfinder is an RPG system much like D&D. I played a few times at the shop, but it sort of fell by the wayside when there weren't a lot of people organizing games. D&D came around about three or four weeks ago when a group in Elmhurst was looking for some people to play. I jumped in and went to the first session. Unfortunately, the DM who was supposed to lead the session never showed up and the three of us who were there were left wondering what we wanted to do. Luckily the Elmhurst library happened to have the D&D 5e starter set on their shelves so I popped it open and we dove into trying to do that first game on a whim. I found that I enjoyed the session while reading through it. And that is how I found myself a couple of weeks ago volunteering to lead a regular session on Friday nights in Elmhurst. I was nervous all of last week. I only had about two days to try and figure out what the heck I was supposed to be doing. I had papers and print outs and books and all sorts of paraphernalia crammed into a book bag. The night started last Friday and we were away. I couldn't tell if I had enough stuff with me. Did I print up the right sheets? Did I bring the notes I needed? Did I have too much stuff? Thankfully the group we played with was pretty good. Everyone had the same idea of just telling a story and having a good time. The night turned out to be a success and Megan even jumped into the fun and had a good time. Friday night ended with a huge sigh of relief and I think everyone had a good time. My first DM experience was a success. I think I may end up doing more of this.